Blackpool is a major seaside town and borough of Lancashire, in North West England. It is also the leading holiday destination in the UK. The town is home to the UK’s tallest rollercoaster, the Pepsi Max Big One, and another iconic landmark, the Blackpool Tower. 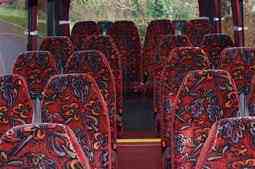 All postal codes FY1-FY4 are covered by our Blackpool minibus hire service. The regions we are available in include Blackpool, North Shore, Bispham, Grange Park, Layton, Marton, South Shore, and Squires Gate. We operate throughout the day, every day of the week and in all weather conditions. 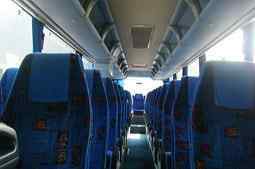 If you are searching for reliable minibus hire in Blackpool, you won’t find a better minibus hire company elsewhere in Blackpool. We offer you excellent value for money – a great travel experience by chauffeur that is experienced and licensed. Our fleet of minibuses includes the Mercedes 16 seater minibus – available in economy class and executive versions. They are perfect for short trips to the chain store and school, or for a long distance holiday tours. Our drivers can take you to birthday parties, sports tours, funerals, stag parties, hen parties, airport transfers, and much more. Our executive minibuses are available for corporate and business trips. For the very best in Blackpool minibus hire, please call us for more information and we can arrange a price and travel package that suits you. Alternatively, send us an email or fill the online booking form and we will get back to you quickly. We also have Volvo minibuses and multi-seater Ford Transits available in economy and executive range, and in a price range that suits you. 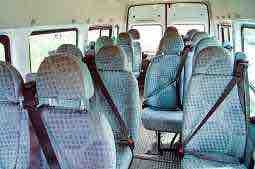 For safe minibus hire in Blackpool choose us and have peace of mind. Our chauffeurs are safe drivers and have exceptional training to handle any road condition. They know how to handle tricky conditions ensuring you are safe on your journey. There is so much to explore in Blackpool. Blackpool has many attractions to offer. Explore this historic town with our Blackpool minibus hire service. Blackpool hosts many events, tours and concerts from December through into the next year. If its music you are interested in, then Blackpool Music Service’s Christmas Festival is sure to get your attention. A Christmas Carol started in early December and finishes in early January, and is guaranteed to put you in the festive spirit and should not be missed. In January 2016, the Blackpool Beer & Sausage Evening takes place, where you can sit down to beer and sausage while enjoying the hospitality of the host. Or you could take in the many shows from March to June and beyond, like Joseph and the Amazing Technicolor Dream Coat, James Martin – Plates, Mates and Automobiles, and the Blackpool International Soul Festival. No visit to Blackpool would be complete without seeing the Blackpool Illuminations, which is held along the Blackpool Promenade. You will awed by the spectacular lighting display of over one million light bulbs, lasers and searchlights. After taking in the sites and sounds of Blackpool you will no doubt be famished and visit to West Coast Rock Café for delicious barbecued ribs and loads more might just satisfy you.